This Friday, come out and be the centre of attention. Our free Friday Night Lights bike ride will take you through the streets of Windsor before making a couple stops at Enzo’s Trattoria and BV’s House of Pong. 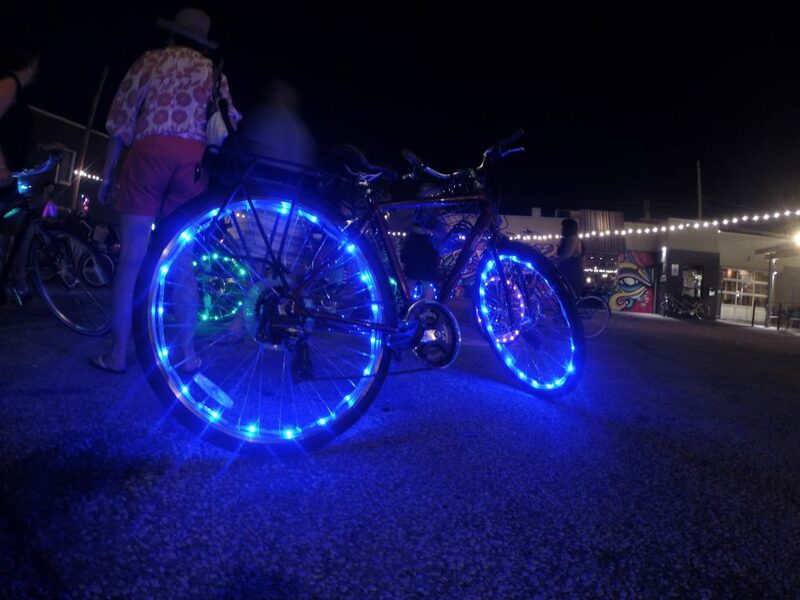 We encourage all riders to decorate their bicycles with lights in a display that will surely light up the night. Our last ride attracted over 50 riders and with the way word is spreading, we think we might be able to top 100 this week! We are asking riders to begin gathering at the Walkerville Night Market beginning at 8:30pm. The ride will start at 9:00pm and end back at The Willistead at 12:00am. We encourage you to share our Facebook event and invite your friends. Since it is the starting and ending point of the free Friday Night Lights bike ride, you might as well arrive early and take advantage of the Walkerville Night Market on Friday, July 25. 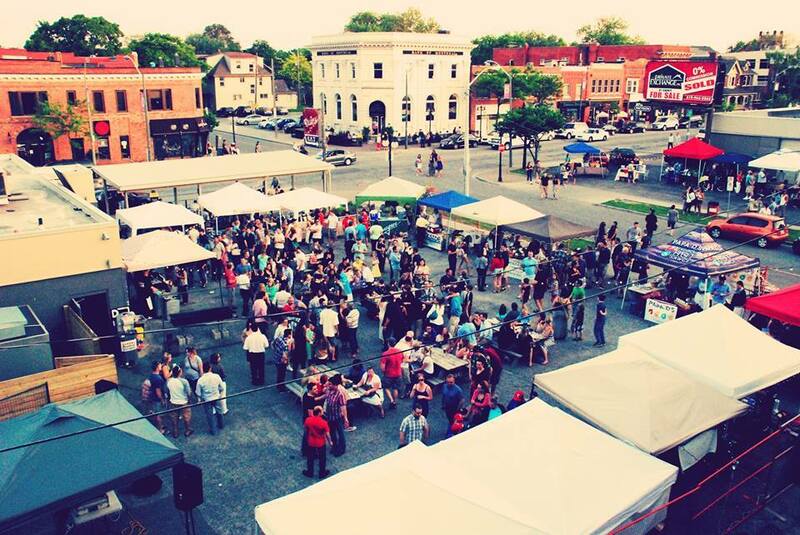 The Night Market is a community market promoting the hip and historic Walkerville neighbourhood, bringing people together with local business, musicians and artists. With Explore the Shore taking place this weekend along County Rd. 50, we encourage you to Cycle the Shore and enjoy the scenery and stops at a slow pace. WindsorEats will be at North 42 Degrees Estate Winery and Serenity Lavender Farm all weekend renting out our bicycles. If you book in advance, you can also book a Picnic Carrier to take with you, filled with tasty treats for you to take on your adventure. Each insulated Picnic Carrier includes local, seasonal fruit, artisanal Ontario cheeses, a Serenity Lavender sachet and more, as well as plates, cutlery and cups for two or four. Everything you need to enjoy a nibble on your route all packed into a stylish and super cute pack! There’s even room in the Picnic Carrier for you to place a couple of wine purchases and North 42 will gladly recommend the perfect wine to pair with your snacks. 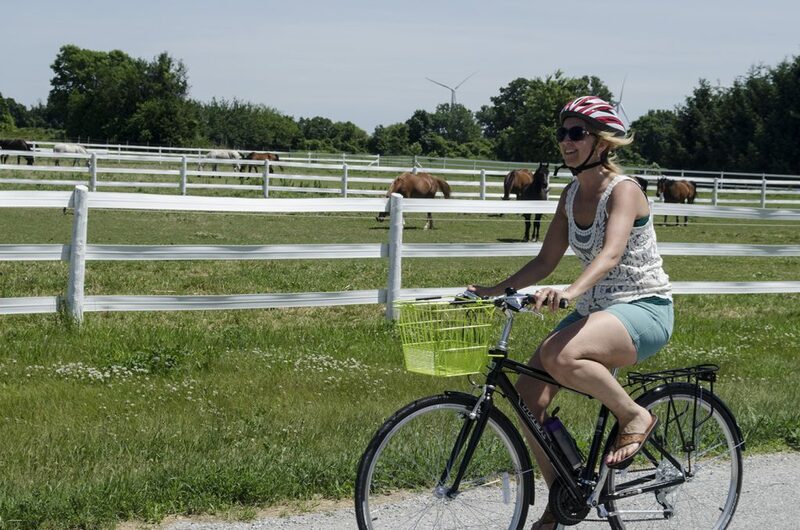 Before you head off on one of our rental bikes, Serenity Lavender Farm will be hosting lavender harvest and crafting demonstrations. Also taking place all weekend, stay at North 42 Degrees Estate Winery a little bit and enjoy some live jazz all weekend beside the vineyard. Visit Colchester Ridge Estate Winery this weekend and partake in some bocce or badminton while being able to enjoy some wine and ice cream floats of the kid and adult variety. Tapas will be provided by The Windsor Beer Exchange. On Saturday only, don’t miss the Tai Chi Demonstration by Taoist of Windsor from 2:00pm to 4:00pm in the vineyard. CREW will also be highlighting their new VQA White Wines, 2013 Flagship Chardonnay, 2013 POSH Cuvée and 2013 Riesling. 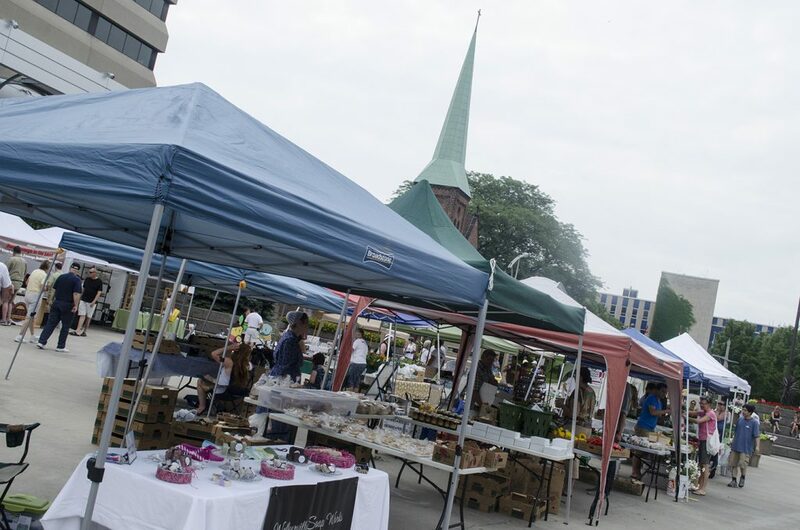 A hotbed of activity every Saturday morning, make a visit to the Downtown Windsor Farmers Market. Visit Anchor Coffee House for their amazing Lemon Iced Tea or Strawberry Rhubarb Lemonade, or pick up a loaf of bread from Blak’s Bakery and a bottle of wine from Cooper’s Hawk Vineyards or Colchester Ridge Estate Winery. We even recommend picking up some sausages for the grill from Robbie’s Gourmet Sausage Co. Our newest member, The Little White Kitchen will also be there selling ice cream sandwiches! Visit Cooper’s Hawk Vineyards this Sunday, July 27 to enjoy the talents of legendary musician, Bob James. Tickets are $45 per person which also includes a glass of wine and one gourmet food item. The concert takes place from 3:00pm to 7:00pm.